We enjoyed having our October Rotary Seniors with us at our meeting yesterday. 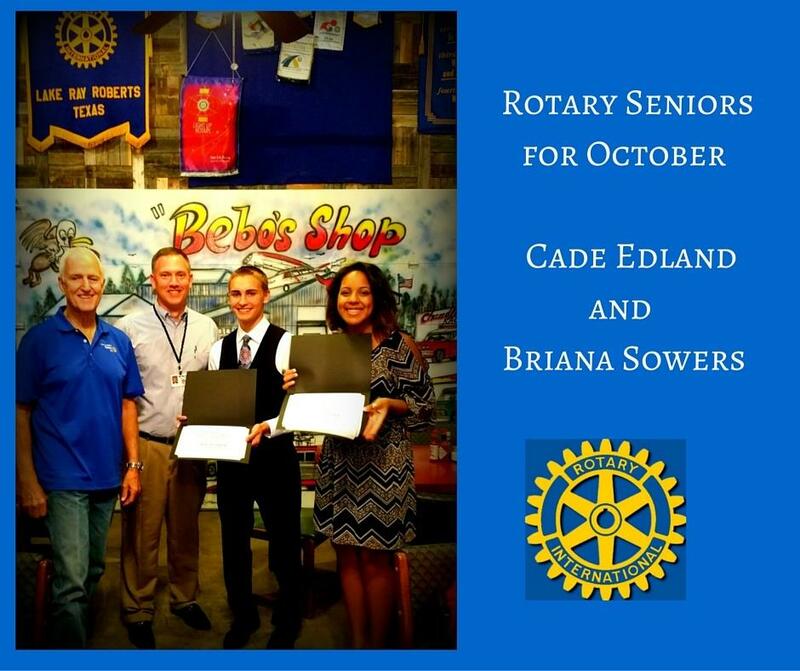 The Rotary Seniors for this month are Cade Edland and Briana Sowers. Both of these students are very involved in Pilot Point High School. They both did a great job sharing with us their current activities and accomplishments as well as their plans for the future. These seniors will be eligible for our Rotary Scholarship presented at the Rose Cutting. Congratulations Cade and Briana for being selected as the Rotary Seniors for October!